Harry Macklowe is seeking some of the highest asking office rents in the city at the commercial portion of his 432 Park Avenue development in Midtown. Asking rents at the 71,000-square-foot, cube-like office building – which is attached to 432 Park Avenue’s 1,400-foot-tall residential tower and shares the same address – start at $150 per square foot. Rents could run as high as $175 per square foot for the commercial building’s top floor, which will feature a 1,600-square-foot glass penthouse connecting to a 5,000-square-foot outdoor roof deck, according to Crain’s. 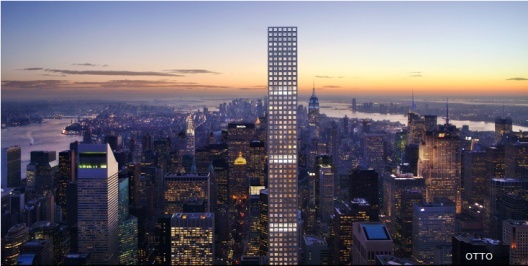 CBRE’s Paul Amrich is leasing the 432 Park Avenue office development.